247 backers pledged $34,010 to help bring this project to life. WE DID IT !!! WE REACHED OUR GOAL OF $30,000 !!! WOWZA !!! We still have have 51 hours left of our campaign - can we make it to $35,000? We think so ! A big THANK YOU to all those who have helped us get to this point we are extremely grateful and floored by the support - lets keep it going ! 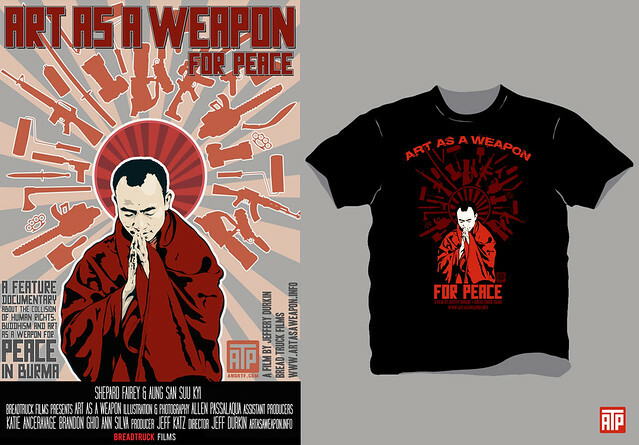 "Art as a weapon" will look at the connection between street Art, Buddhism and the struggle for Democracy by using the closed country of Burma as a case study. The film will follow a Buddhist monk poet who's building a library, artist Shepard Fairey painting a 30' tall mural, and a elementary school art class learning how to use spray paint- giving the audience a peek into the the lives of artists and how art has the power to move people. 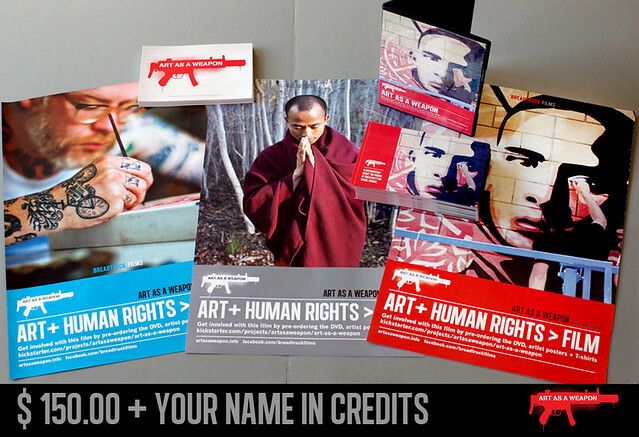 Interviews include Shepard Fairey and Nobel peace prize winner Aung San Suu Kyi. This will be a “connections film” looking at the collision between the big forces that shape humanity- Art, Politics, and religion in both the eastern and western worlds. By combining beautiful cinematography, with Buddhist philosophy the project will illustrate the power Art has in the bloody fight for Democracy. Part art film, part political film, the goal is to continue spreading the word by using art as a weapon for peace in Burma. KICKSTARTER is ALL or NOTHING so if we do not reach 30K by December 9th EVERYTHING goes back to the backers and we get NOTHING . Art has the power to shift paradigms, and images have the power to change the way people think about things. I believe in the power of film to do that, and to help shed a positive light on the country of Burma, a country that has been defined so much by it's problems. With the non-violent spirit of A Nobel Peace Prize winner, the philosophy of the Buddhist monks, and the background of a country devastated by war, the film will show the beauty and fragility of life. Our goal is to create and Academy Award quality film about the roots of raw creativity, in one of the most censored and closed off countries on earth. This is more than just a movie, it's a movement that will help MILLIONS of people.....and be seen by MILLIONS of people worldwide. Join the team for only $1 or more, and we'll put YOUR NAME in our thank you credits. Your name will be on the silver screen as this film plays around the world at film festivals and at your local art-house theater. 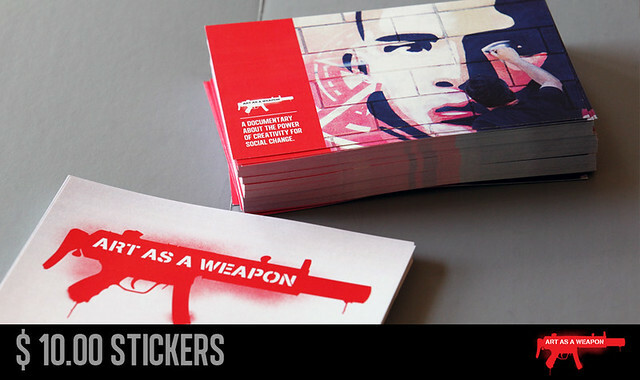 Digital download of the film, an Art As A Weapon custom designed sticker/ and shout out on our blog. A finished copy of the DVD, or digital download, plus sticker and a shout out on our blog, and mini-poster. 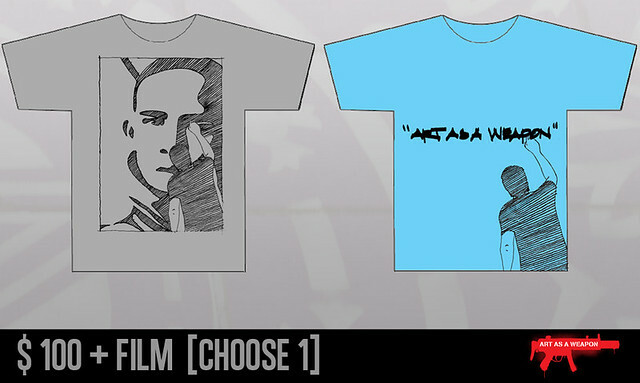 A Blu-ray copy of the finished film, artist designed T-shirt, sticker and a shout out on our blog. Custom silk screen Art as a Weapon poster signed and numbered by Director Jeff Durkin, YOUR NAME in the credits, a DVD, Blu-ray or digital download of the film and a T-shirt. A copy of the finished film as well as a signed copy of Jeff Durkin's latest documentary "Working Class" featuring artists Mike Giant and Mike Maxwell , a T-shirt , sticker, shout out on our blog , YOUR NAME in the credits and an exclusive silk screen Art as a Weapon poster by Mike Giant. Exclusive membership into the Breadtruck Film Club meaning you have access to raw footage, interviews, and photos plus you can help choose the poster branding and final film title. YOUR NAME in the credits a T-shirt and sticker. 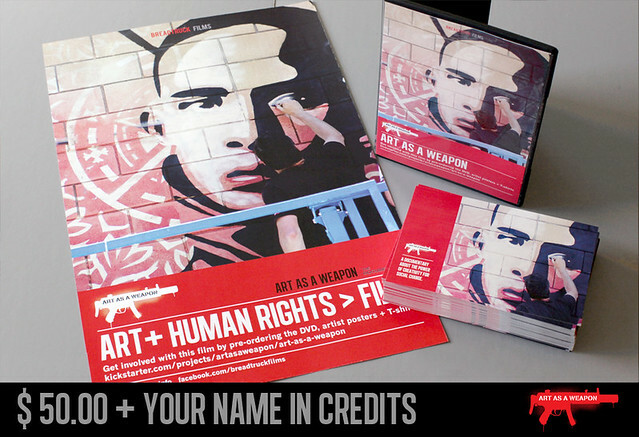 Exclusive tickets to the premiere of Art As A Weapon ( travel not included) and DVD or Blu-ray or digital download of the finished film as well as exclusive membership into the Breadtruck Film Club with access to raw footage ,interviews, and photos plus you can help choose the poster branding and film title. YOUR NAME in the credits, T-shirt and poster. Dinner and private screening with the filmmakers (travel accommodations not included) copy of the film, poster, sticker , and T-shirt as well as an exclusive membership into the Breadtruck Film Club with access to raw footage ,interviews, and photos plus you can help choose the poster branding and film title and YOUR NAME in the credits.